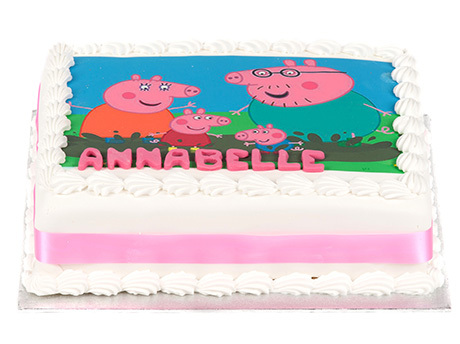 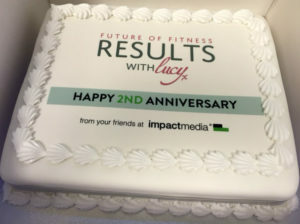 Our celebration cakes are perfect for any occasion – Birthdays, Christenings, Engagements, Weddings, Anniversaries, Company promotions – anything you want to celebrate we can help. 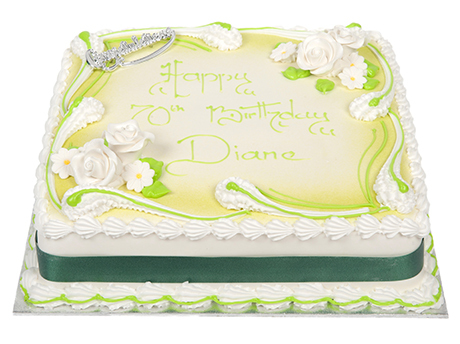 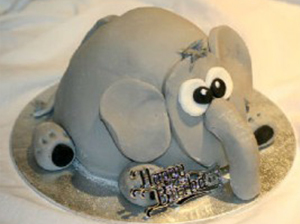 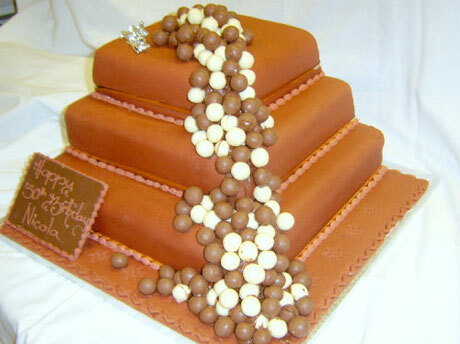 Our celebration cakes are all made in our bakery using the finest ingredients. 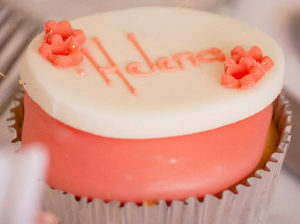 You can select from a genoese sponge with a layer of jam and buttercream, a moist chocolate cake with a layer of buttercream, or a rich fruit cake of vine fruits, cherries and mixed peel with an apricot glaze and marzipan coating. 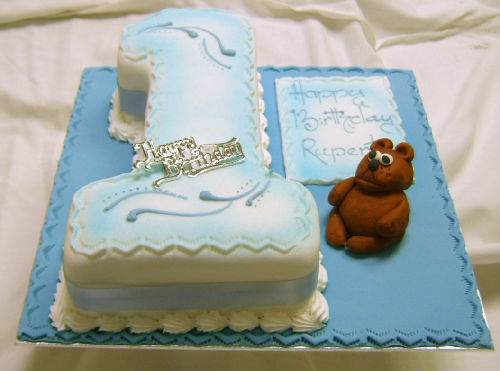 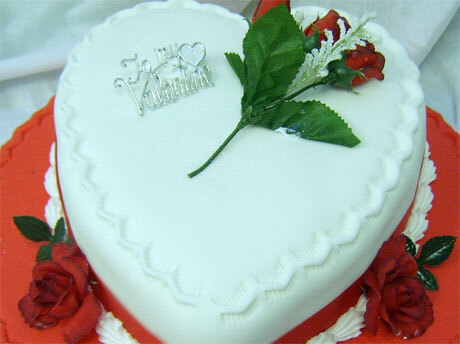 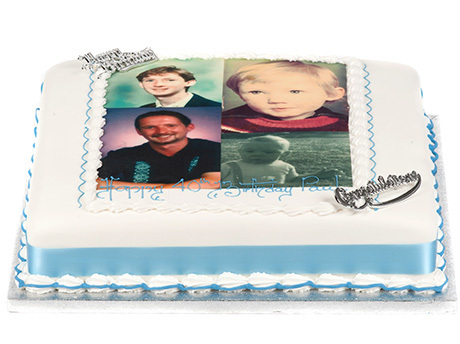 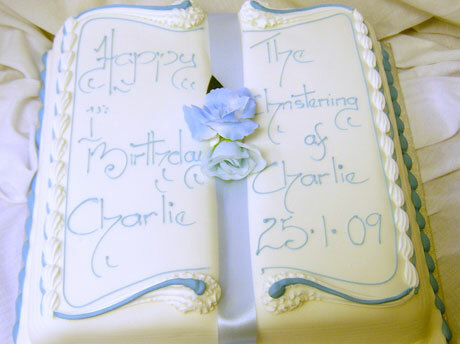 The cakes are then hand crafted to your design incorporating your own personal message.